How do Capital Gains Taxes Work for Home Sellers? Blog / How do Capital Gains Taxes Work for Home Sellers? A number of issues can come up for people who sell their homes, and one of those issues is the capital gains tax. But what is it, really, and who has to pay it? Is there a way to get around the tax, legally? It's important to know these things before selling a home. While a homeowner may ultimately decide to sell anyway, even if they have to pay the tax, it's also possible they'll wait longer or choose to remain in their home instead. That's all worth considering, and all things that a homeowner will want to look at before they make a definite choice. Fortunately, there are strict rules about who must pay this tax and who doesn't have to, so a homeowner can take a look at their situation and see what category they fall into before they decide to sell. In short, the sale price, minus the purchase price, is the capital gain. There are also some exceptions to that, such as deductions for specific home improvements that were made while the person owned the home. A single homeowner is allowed up to $250,000 in profit on the sale of their home without the need to pay capital gains tax, while a married homeowner is allowed twice that much. So most people who sell their homes don't owe any extra tax at all. In areas where property values have really gone up, though, the tax on capital gains could be significant for a home seller. To avoid the capital gains tax, though, there are still some other requirements a seller will need to meet. For example, a homeowner has to live in the home they're selling for two of the previous five years. The homeowner must also be selling their principal residence, and not a house they bought for investment purposes or for some other reason. Those types of properties don't have the same exemption rules as primary residences, so they have to be handled differently. It may be important for a homeowner who's about to realize a big profit to hold off on selling their property if they haven't lived in it for two years, and to be aware of the capital gains tax they'll need to pay otherwise. When it comes to investment properties, the capital gains tax applies. There's no exemption for having the property for a set period of time, or for using the money received from the home to buy another home, for example. Instead, the homeowner just has to pay capital gains tax on the proceeds, and that can be a lot of money if they sell an investment home for a high price. However, if they hold onto the investment property for more than a year, they can sell it and pay capital gains tax at a 15 percent rate, instead of the standard income tax rate. For some people that standard rate can be up to 35 percent, so the 15 percent option is much preferable. However, too many homes bought and sold too quickly could also trigger the IRS to take a closer look, so that's worth noting. It's vital that homeowners calculate their taxes properly. They want to pay what's owed to avoid trouble with the IRS, but they also don't want to pay too much by misunderstanding the tax law. With that in mind, they should consult a tax professional if they aren't sure about whether they owe capital gains tax. That way they can make sure they're filing their taxes the right way. That adds to peace of mind, but it also helps a person feel more secure about whether they're going to be protecting themselves financially. If they aren't protecting themselves, they could end up really struggling to pay off IRS debt in the future. 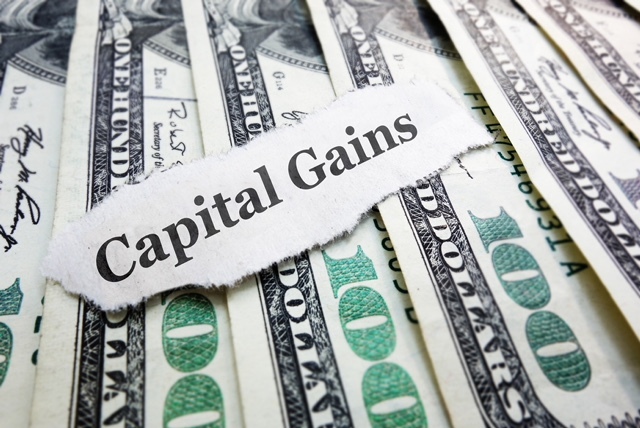 Knowing the rules about capital gains can reduce that risk, and can make it easier for a homeowner to make a decision about whether they want to sell their house at this time or whether it would be better for them to wait.